Louisiana Tech University, College of Education, is committed to the personal and professional development of both our current students and other professionals. 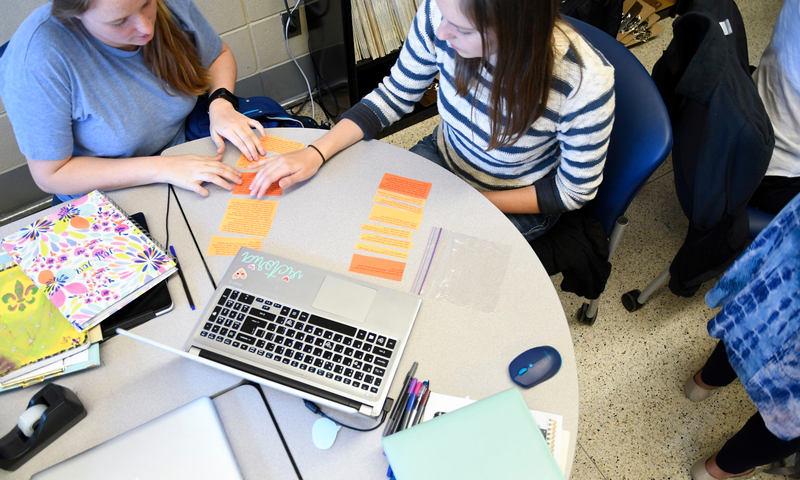 The Alternative Certification program at Louisiana Tech University offers a pathway to teacher certification with a Master of Arts in Teaching degree. This program is designed for persons who already have obtained a bachelor’s degree in a non-teaching area of study and who are now ready to teach in a PK-12 school. Students may complete a 33 semester-hour program in Early Childhood Education (PK-3), Middle School Education (4-8) with concentrations in middle school mathematics, and middle school science, and Secondary Education (6-12) with concentration choices in agriculture education, business education, English education, general science-biology education, general science-chemistry education, general science-physics education, mathematics education, or social studies education. Students may complete a 36 semester-hour program in Special Education-Visually Impaired or 39 semester-hour Master of Arts in Teaching (MAT): Elementary and Special Education (1-5). The Master of Arts in Teaching program starts each summer quarter with the exception of the Visually Impaired concentration, which admits every quarter. The M.Ed. in Educational Leadership is a graduate-level teaching program designed to prepare certified teachers for the task of administering educational institutions, particularly at the primary and secondary levels. Students must complete a 36 semester-hour program, including an internship that extends over a full P-12 school year. Candidates must also attain a satisfactory score on the Louisiana State Department of Education identified test for educational leaders, successfully make a culminating program oral presentation, and receive a passing grade on a culminating e-portfolio. Applicants must be nominated by appropriate professional individuals and meet additional specified application requirements, including the holding of a current state-issued Level II or Level III Professional Teaching Certificate or its equivalent. For more information, contact the Department of Curriculum, Instruction, and Leadership or the Office of Graduate Studies in the College of Education. The candidate seeking a Master of Education degree in Curriculum and Instruction will be required to earn a minimum of 36 semester hours. An approved plan of study must be submitted during the first quarter of enrollment. In the MEdCI program, students select a concentration of 12 hours minimum which may lead to an additional area of certification. Candidates may choose Research in visually impaired. Additional information regarding the concentration areas may be obtained from the Department Head of Curriculum, Instruction, and Leadership or from the Director of Graduate Studies. This is a terminal degree program designed for persons who desire to be effective leaders in various forms of formal organizations such as P-12 schools and school systems (Educational Leadership) and colleges and universities (Higher Education Administration). The program is founded in rigorous coursework, practical experiences, and relevant research pursuits. The Department of Curriculum, Instruction, and Leadership also offers graduate certificates in multiple areas. Click on the certificates below for curriculum information.